The careless and questionable practices of lending institutions have led to an alarming number of recent wrongful foreclosures. Trevino Injury Law answers the most common legal questions asked by victims of wrongful foreclosure to help borrowers protect their legal rights. ...federal regulators have determined wrongful foreclosures caused hundreds of thousands of borrowers to lose their homes. Since the financial crisis began in 2008, U.S. lending institutions have recorded 4.2 million foreclosures nationwide. At the height of the crisis, Texas had one of the highest foreclosure rates in the nation, just behind California, Michigan, and Florida. Today, over five years later, the most troubling statistic has just come to light: one third of borrowers were illegally foreclosed on when big lenders moved to seize their homes despite having loans in good standing, or without following legal foreclosure proceedings. Now federal regulators have determined that wrongful foreclosure caused hundreds of thousands of borrowers to lose their homes. One San Antonio wrongful foreclosure attorney has decided to fight back against this widespread violation of property owner rights by answering the most pressing questions asked by victims of wrongful foreclosure. The “Top Ten Questions of Wrongful Foreclosure Victims” makes individuals aware of their rights so they can determine if their lender acted with impropriety at any stage of the foreclosure process. With strict regulations governing every step of the foreclosure process, there are many ways careless lending institutions and mortgage servicers can be at fault. Most commonly, lenders fail to properly document, process, or communicate the foreclosure procedure. Some have deliberately deceived borrowers into believing loans were delinquent when in fact they are in good standing. Banking institutions may force accelerated payments and tack on exorbitant fees outside of the contract terms. Intentional or not, if there is any violation of State and Federal Laws governing the process, the foreclosure may be deemed wrongful. The truth about wrongful foreclosure and borrower rights is especially critical in Texas. Texas ranks first in speed of the foreclosure process, where the average foreclosure takes 90 days. Elsewhere, the process typically takes one year or more. Texas property owners have less time to recover from defaulted loans and pay the predatory fees levied by many lenders. They also have less time to learn about their rights and seek legal counsel and defense. Texas banks and lenders would like us to believe that the foreclosure crisis is behind us. Though the overall rate of foreclosures and loans in delinquency has declined statewide, the worst is not over. 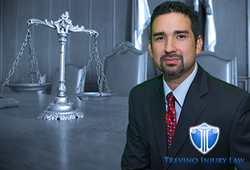 Trevino Injury Law has distinguished itself from other wrongful foreclosure attorneys with its history of taking hard cases to trial and winning. If you believe you may be the victim of a wrongful foreclosure, determining your next steps can be overwhelming. Texas foreclosure laws are complex, and proving yours was unlawful can be difficult. The most important thing you can do is contact a licensed and experienced wrongful foreclosure lawyer. 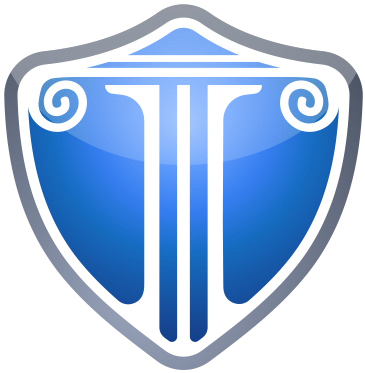 Visit Trevino Injury Law at http://www.trevinoinjurylaw.com to learn more about your rights and recourse as a borrower and to schedule a wrongful foreclosure case evaluation.